In this episode I am joined by Louis Rudd, MBE. 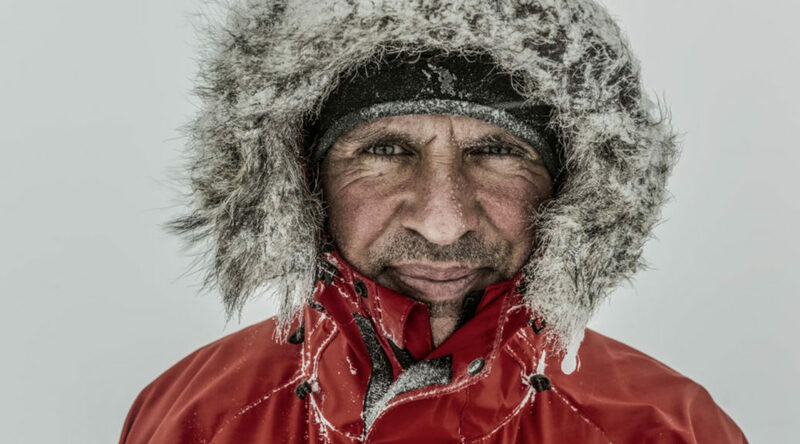 This interview with Lou was recorded in late October 2018, shortly before he departed for Chile and then onto Antarctica to attempt a solo, unsupported and unaided crossing of the Antarctic Continent via the South Pole. This means simply man-hauling everything he needs for the trip, accepting no assistance and not using any aids such as kites to pull him along. It’ll be entirely under his own steam. This is a challenge no-one has previously successfully completed. If you’ve been a long time listener or if you’ve recently caught up with earlier episode of The Paul Kirtley Podcast, you will know that Lou guested on Episode 12. This was during the period Lou was preparing himself and his SPEAR17 team of Army reserves for an expedition to the South Pole. That trip – for reasons we discuss in the interview – rather than stopping at the pole, turned into a full traverse of Antarctica. I haven’t properly caught up with Lou since then so we had a lot to cover in this interview. Lou, currently 49, has been in the British military since he was 16 years old. 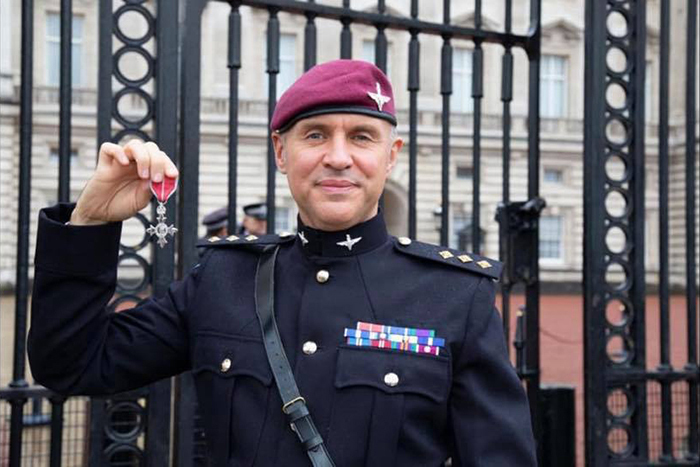 He is a qualified military ski instructor and an Arctic Warfare instructor and before leading the SPEAR17 Antarctic expedition, Lou had previously undertaken a trip to the South pole with his friend Henry Worsley, as part of the Scott Amundsen Centenary Race. In 2012, Lou and Henry completed this 800-mile unsupported journey, following the original route of Roald Amundsen from the Bay of Whales to the South Pole. 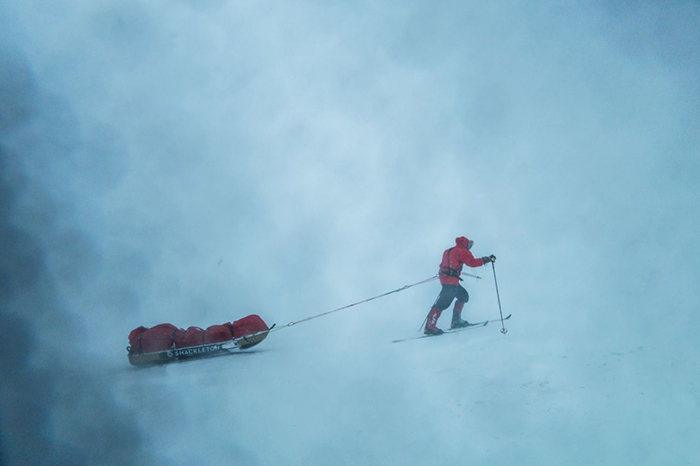 Lou Rudd is undertaking his biggest polar challenge yet. Photo: Rene Koster. I’m sure many of you will be glad Lou is back on this podcast with me. I’ve had a good number of requests since Episode 12 to have Lou back on for an update. This seems like an opportune moment but I was luck to catch Lou, only days before he departed for Antarctica for a planned two and half months. In the following conversation I talk with Lou about the previous Antarctic crossing with the SPEAR17 team of Army reserves, his more recent crossing of Greenland as well as his preparation for his solo crossing of Antarctica, which is his biggest polar challenge yet. You can also subscribe on iTunes and on Stitcher, on Player FM or via my podcast-only RSS feed. In 2018 Lou received an MBE. Photo courtesy of Lou Rudd. Thanks for joining Lou and me on this podcast. If you have any comments about this episode, please leave them in the comments section below. Nice one Tony. Glad you enjoyed it. What an inspirational, extraordinary and humble chap, great podcast. First listen to one of these, enjoyed listening with a glass of homemade wine after two days spent harvesting our rabbits for our winter meat, many thanks and will certainly make time to listen in future. Its wonderful that you were able to record this interview with such an accomplished guest, so close to his embarking on what will be a monumental journey. Hopefully you or someone else will enjoy this. Hi Roy, thanks for your comments and I appreciate you sharing the link to the New Yorker article.